I don't know if its because I haven't gotten a sub in so long or if it was just that good. 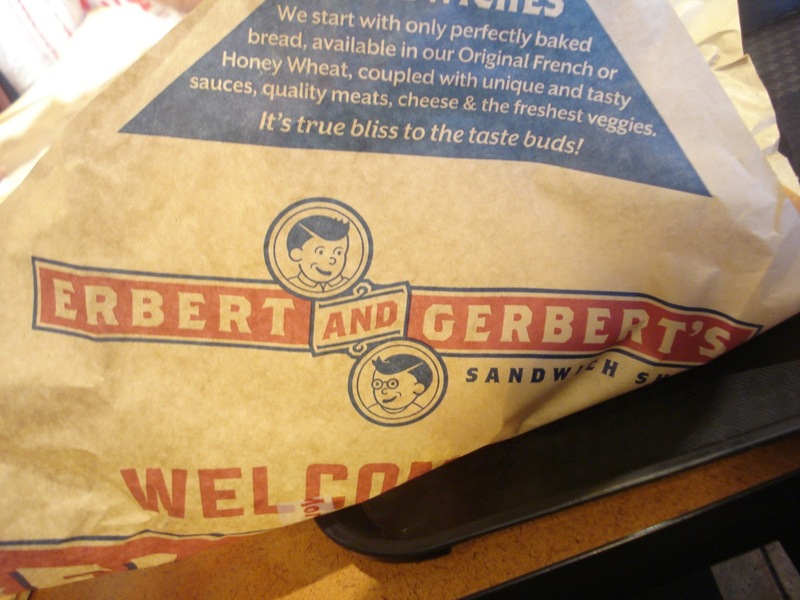 I loved the Gluten free subs at Erbert and Gerbert. I had known there was one in my hometown for about 2 years but I never walked in the store. Probably because I had never heard of the place. 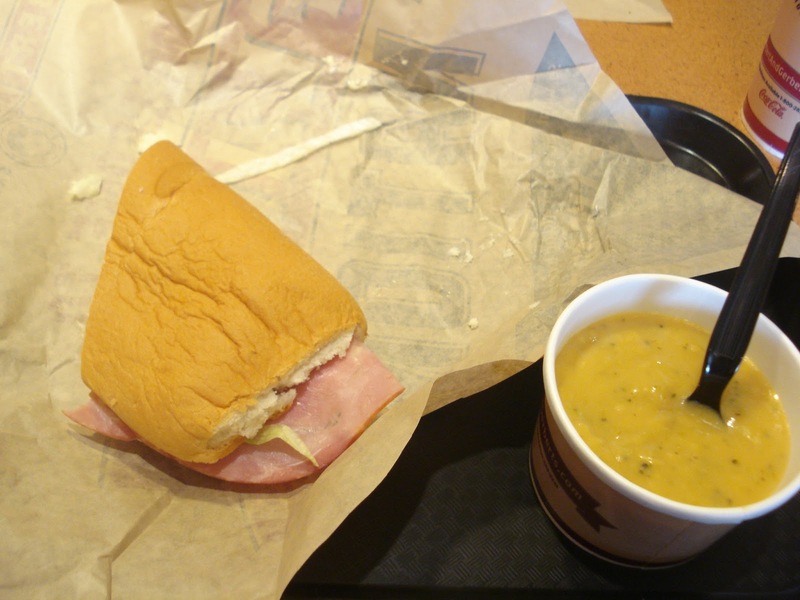 Last week I saw that they had gluten free subs from Savvy Celiac http://thesavvyceliac.com/. I HAD TO GET ONE. Also I has a cheddar broccoli soup, that was marked Gluten free on the sign, but after looking at it online it says that its not gluten free. I haven't had any reaction yet so I assume its a different soup than the one with the information online. Always ask which soup/which toppings are gluten free, and make sure that they use different gloves and don't contaminate. The franchise that we visited was pretty dead, we were the only ones there so it wasn't hard to watch how they were preparing it.